Ipoh Overland Tours & Travel Sdn. Bhd. is one of Malaysia Leading Inbound, Outbound, Hotel Reservation & Air Ticket Reservation Company. 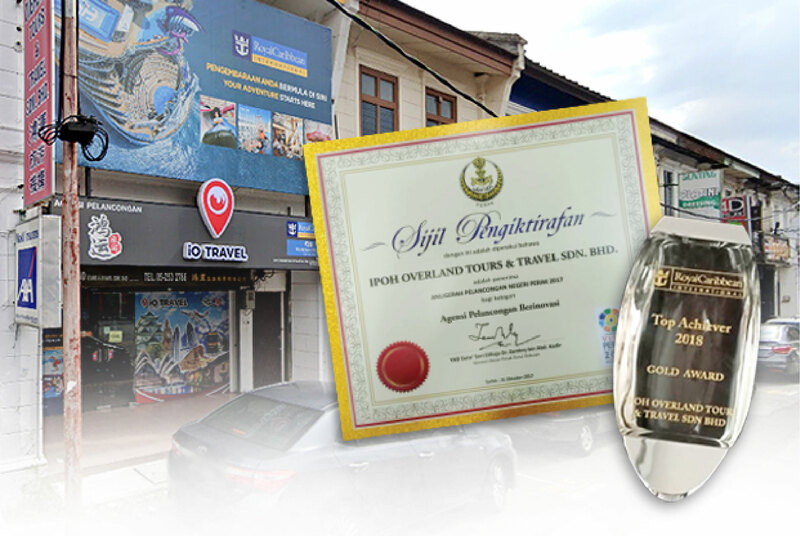 Established in September 1988, the company has full government accreditation, all relevant licenses and is an active member of Malaysia Association Tour and Travel Agent (Matta Membership No. :PRK/M/0788) and Ministry of Culture, Arts and Tourist Malaysia. (License No:1478) and are now a leading tour/air ticket operator in the South-East Asia Region, China, Europe and Middle East. We are well known for our Regional Inbound Operations and for our Wholesale Outbound Travel Products. We are innovative, market-driven business with a fierce a commitment to our Local/International clients and their customers. We have steadily increased activities every year since our formation and Ipoh Overland Tours now ranks amongst the largest and most successful Inbound, Outbound operator and Air Ticket reservation in the country. Ipoh Overland Tours covers the field of FIT travel, group, series tours, meeting, incentives, conventions, golfing tours, air ticket reservation, special interest packages for VIPs and specialize in visa application. Our operating background and experience, our strength in the market place and our loyalty to our clients means we can guarantee you the price, service and support to win more business and more satisfied customers. Ipoh Overland Tours has passion for the Malaysia tourism industry and a real desire to share it with our commercial partners.